I still remember that one momentous day when I stepped into the recently opened video game store across the street. I must have been about eight or nine years old at the time, and Japan was my home. I remember hanging out at the video game store every once in a while. I don’t necessarily remember a whole lot from those days, but I think I often went there just to check out the new titles and drool over them, knowing that the next time I would even get a new game was when a) I saved enough of my allowance, b) I had a birthday, or c) it was Christmas. What in the world? I’d heard of Kamehameha, but I had no idea what a Hadouken was. It looked similar, and yet the Hadouken was more of a fireball than a continuous wave of energy like a Kamehameha. I wasn’t even sure what I was looking at yet, but I was mesmerized. Though I was familiar with the fighting game genre to a degree (mostly Famicom games at the time), this one seemed to be in a class all its own. Blanka. Chun-Li. Dhalsim. Honda. Guile. Ken. Ryu. Zangief. Stretching limbs? Flying sumo wrestlers? An electric jungle beast? Man, these characters are weird! I think, to a degree, these impressions of wonder have stuck with me, like a cow at a new gate (I’m not calling myself dumb, just in case there’s any confusion). I just hadn’t seen anything like Street Fighter II. The characters, the special attacks, the voices… Everything felt so… different. Incidentally, I did end up blowing my allowance at this video game store, probably several times over. Not on the cartridges (that would have been smart), but on the arcade machine. I’m pretty sure I battled my friends and even financed their hopeless attempts at beating the resident champion. You know, that intimidating older guy that seems to have all the time and money in the world because he’s always at the machine just in case anyone dare challenge him. Yeah. 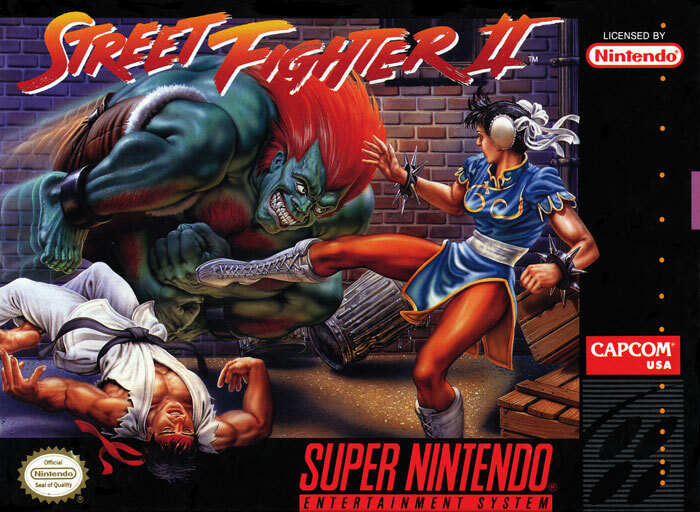 Later, after playing Street Fighter II on the Super Famicom at length, it became one of my favorite titles for the system, and even ended up inspiring some of my other favorite fighting games, like Garou Densetsu (you can imagine the impression Mai Shiranui left on my young impressionable mind) or Ryuuko no Ken (also known as Art of Fighting). God, Ryuuko no Ken. I really wish I had that game. Anyway, regardless of console or iteration (Street Fighter II’: Champion Edition, Street Fighter II’: Hyper Fighting, Super Street Fighter II – The New Challengers, Super Street Fighter II Turbo, Hyper Street Fighter II – The Anniversary Edition, Super Street Fighter II Turbo: HD Remix, etc. ), this game is still worth playing. As you probably know, there have been many new titles since, but if you’d like to see where the series really started to gain some traction, check it out.